Hi! I'm Elizabeth Ann and I'm so glad you decided to visit my blog! I spend my days mothering while crafting, cooking, blogging, creating, learning, and dreaming - but through all this I just want to get more of Jesus and love him more. Click to shop gracefullhome on Etsy! It seems like we have been having a lot of encounters with chickens lately. I guess that's just part of living in small town Kansas. Everywhere I turn people are talking about how they just got their chickens. 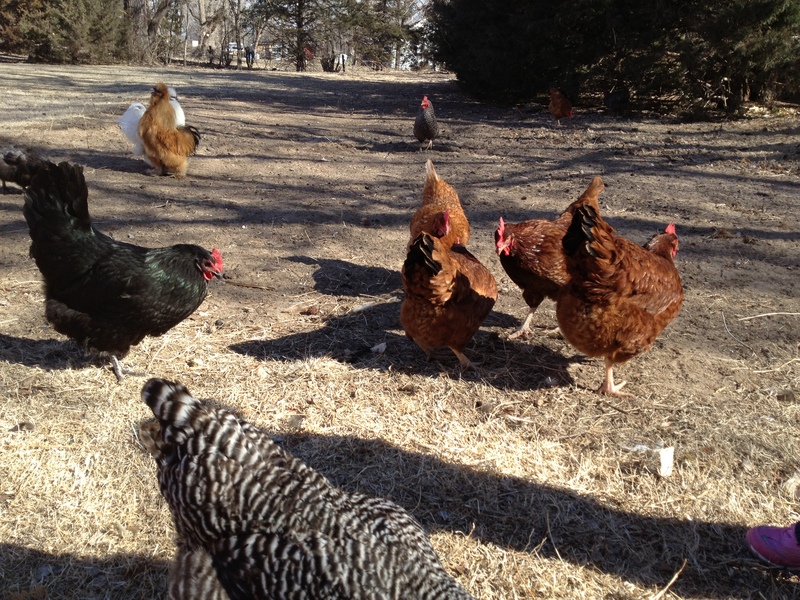 We went out to get some hand-me-down clothes for the boys at a new friends house and she was just heading out to feed her chickens, so she brought us along. I wasn't sure how the boys would do, but the really liked it. Bear didn't want to run out of bread he liked it so much so he pulled off pea sized pieces. 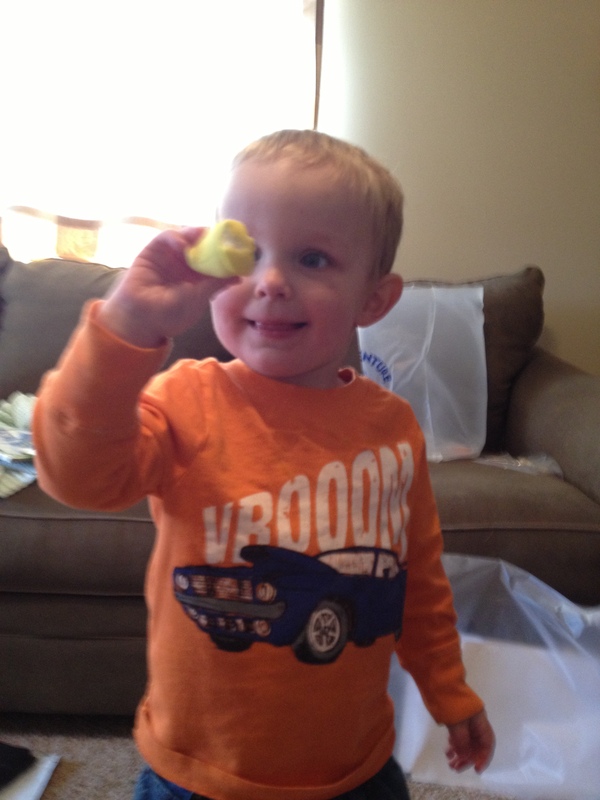 The Little Dude was the first to finish though. I'm pretty sure he only tore his bread once or twice. I'm glad the chickens didn't choke and die because they looked pretty fancy and I'm sure they weren't cheap. The next day we went out to another friend's house to watch some March Madness. 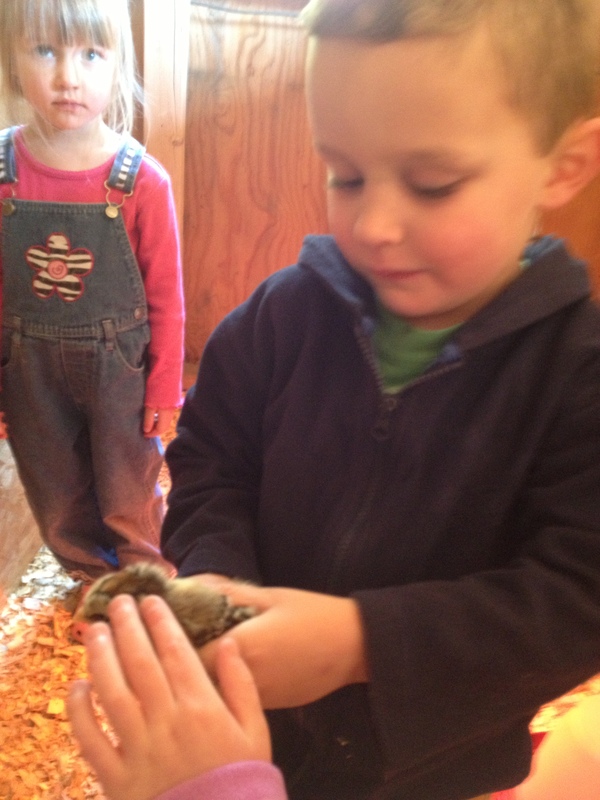 These friends also have chickens so they let Monkey pick some eggs and then the kids all played with the chicks. They had an incident the day before where their prize chicky, the one that would grow up to be a fancy rooster got crushed accidentally by a falling child. Again, I was glad to not be the cause of a dead chicken. 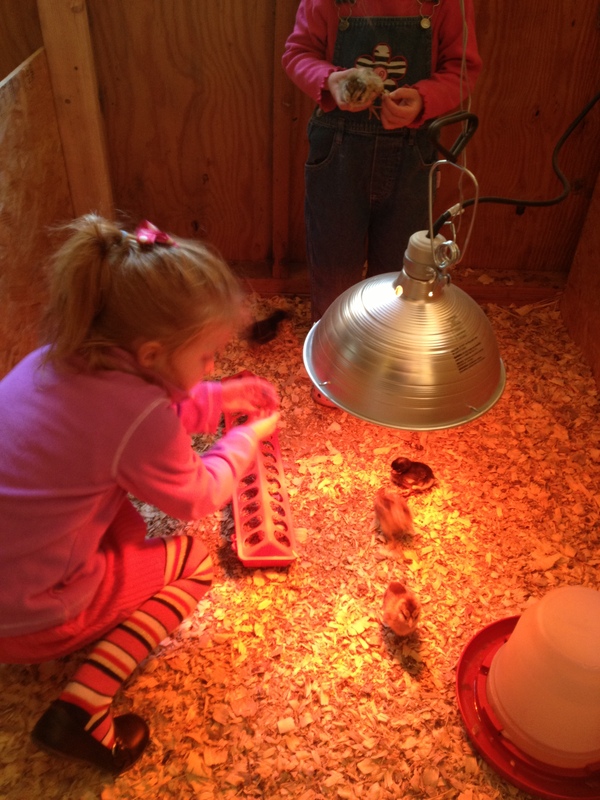 Then at library story time last week they were learning about chickens and they brought in a real life chicken. Into the library! Those crazy librarians, always keep you on your toes! 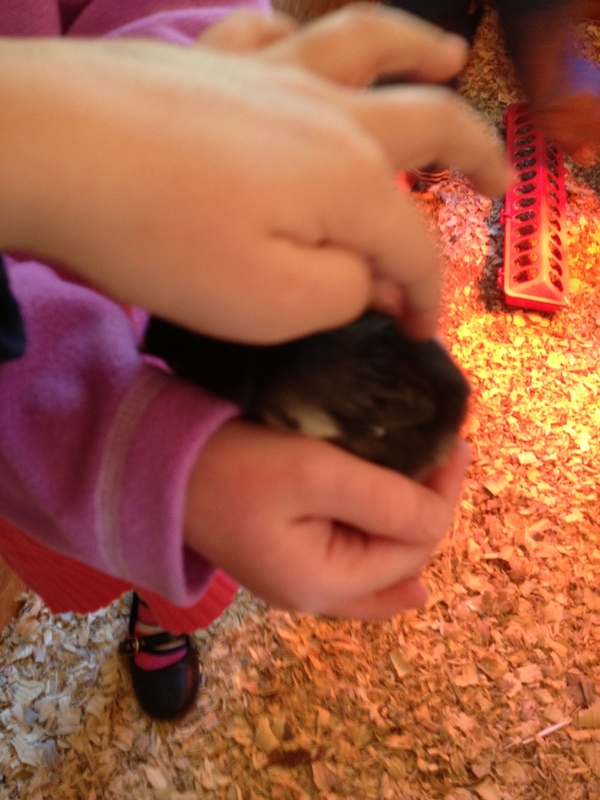 They let all the kids pet the chicken and I could tell that the Little Dude did not want to touch it. 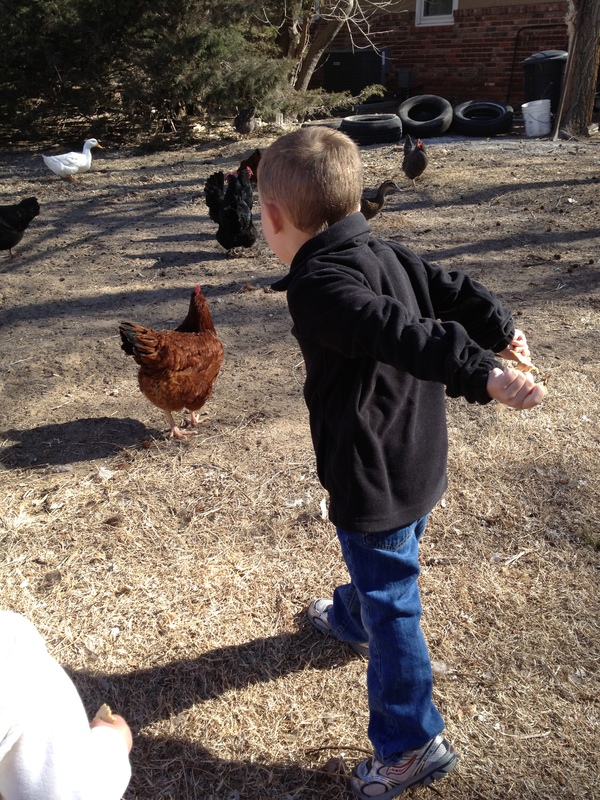 But then his cute little friend walked up and bravely pet the chicken. So then he had to, to protect his manhood. I think he would much rather encounter a chick like this. And as we speak, Monkey is being whisked away to the country where I friends just bought a farm house and 50 baby chicks. I'm pretty sure I will never own a chicken, but I'm glad I have friends that do because nothing is cuter than kids with baby chicks and nothing is better for breakfast than farm fresh eggs.